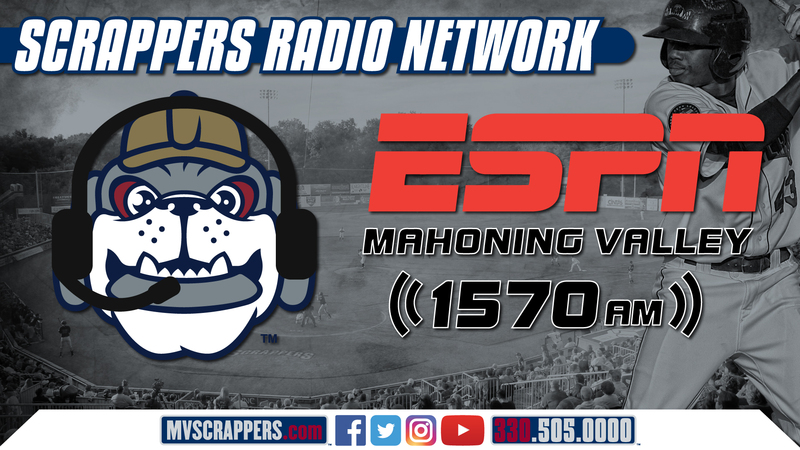 NILES, OH – The Mahoning Valley Scrappers and ESPN 1570 (WHTX-AM) have jointly announced a partnership agreement for the 2019 season. The agreement renews an association with the station that began in 2011 but with a new ownership group that has broadcast properties that have served as the flagship stations of the Williamsport Crosscutters for more than a decade. All broadcasts are also available online at www.mvscrappers.com and can be accessed via computer, tablet or iPhone. Tim Pozsgai, “Voice of the Scrappers” returns for his 7th – season behind the mic. “With our broadcast crew visiting with Tim and the Scrappers staff each summer when the Cutters play the Scrappers make this even more special for me since our stations now have the best of both worlds in the New York-Penn League”, according to Todd Bartley, General Manager of ESPN 1570 and Fox Sports Williamsport who will continue in his role as the play-by-play voice on select broadcasts of the Crosscutters. 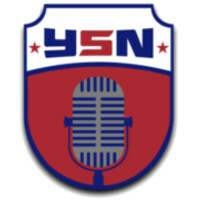 ESPN 1570 signed on September 4, 2018 and serves as the flagship radio station of Warren JFK Eagles football. Establishing itself at the Mahoning Valley Leader in Sports compiling 23 high school football game broadcasts in its inaugural season. A proud member of the OHSAA Radio Network. As well as the Mahoning Valley home of the Pittsburgh Penguins. ESPN Radio is now the nation’s largest sports network with more than 700 affiliates, roughly 200 more than its nearest competitor. Currently more than 215 stations now carry ESPN Radio programming 24 hours a day. ESPN Radio is the only 24/7 talk network complemented by major play-by-play rights. The home of the NFL Draft, NFL games, Major League Baseball and the World Series, the NBA and its finals, multiple college football bowl games including the College Football Playoff and National Championship Game. For a complete promotional schedule, visit www.mvscrappers.com. 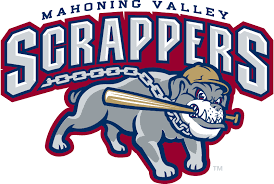 The Scrappers open the 2019 season at Eastwood Field on June 16 vs. the Batavia Muckdogs. Single game tickets are on sale now and can be purchased online at www.mvscrappers.com, at the Chevy All Stars Box Office at Eastwood Field or by calling 330-505-0000. The NBA playoffs continue on ESPN Radio Friday night as the Celtics take on the Pacers starting at 8 right here on your Hometown Sports Station ESPN 1570! The Stanley Cup Playoffs continue tonight as the Penguins take on the Islanders in Game 4. Will the Penguins season end tonight? will there be a game 5? Tune in tonight at 6 to find out right here on your Hometown Sports Station ESPN 1570 a proud member of the Pittsburgh Penguins Radio Network! The NBA playoffs continue tonight as the Clippers take on the Warriors starting at 10 right here on your Hometown Sports Station ESPN 1570! Tune in for Sunday Night baseball as the Mets take on the Braves starting at 6 on your Hometown Sports Station ESPN 1570! The Penguins are down in the series 2-0. Can the Penguins win? will their season come to an early end? Tune in today starting at 11AM to find out as the Penguins take on the Islanders in Game 3 of the Stanley Cup Playoffs right here on your Hometown Sports Station ESPN 1570 A proud member of the Pittsburgh Penguins Radio Network! The NBA Playoffs are on ESPN Radio! Tune in as the Clippers take on the Warriors tonight at 7:30 right here on your Hometown Sports Station ESPN 1570! The White Sox take on the Yankees starting at 12:30 Saturday afternoon on your Hometown Sports Station ESPN 1570! The Pittsburgh Penguins will look to rebound from their tough overtime loss in game one as they try to even the series against the New York Islanders. Coverage starts at 6:30 p.m., right here on ESPN 1570, a proud member of the Penguins Radio Network. The Pittsburgh Penguins start their run at the Stanley Cup this evening as they take on the New York Islanders in Game One of their series. Coverage starts at 6:30 p.m., right here on ESPN 1570, a proud member of the Penguins Radio Network.